VPN Zoom is a Tier 1 VPN service which made its debut very recently. The service is headquartered in Colorado Springs, U.S. and was launched in the second half of 2014. In this VPN Zoom Review, we will examine all the features offered by the service and let you know whether it is a trustworthy privacy option. United States (Chicago, New York, Atlanta, Los Angeles, Phoenix, San Jose, Dallas, Miami and Ashburn), United Kingdom (London), France (Paris), Denmark (Copenhagen), Spain (Madrid), Netherlands (Amsterdam), Japan (Tokyo), Sweden (Stockholm), Poland, Germany (Frankfurt), Australia (Sydney), Singapore, South Korea, Brazil and Costa Rica. The worldwide network of the company makes it easy to circumvent country based restrictions and unblock restricted sites from anywhere. The service allows you to access services like Netflix, ABC iView, iTV Player, Direct 8, Spotify, Canal+, Pandora, MTV, BBC iPlayer, Zattoo, RTL, Arte, Demand 5, Deezer, Voddler, Amazon Instant Videos, HBO Go, FOX, WimpMusic, Sky Go, Rara, Mio TV, TV Asahi, Xfinity, NBC, TV Japan, 4OD, Vudu, TV Tokyo, NHL, ABC, CBS, MLB, CWTV, Vevo, Lovefilm and USA Network from all corners of the globe. Apart from unlocking IP restricted services, the service enables you to bypass strict censorship measures deployed by governments of Saudi Arabia, Iraq, China, Brazil, Qatar, UAE, Thailand and Bahrain. Once you have an IP provided by VPN Zoom, you can unlock popular sites like Gmail, Twitter, Facebook, Skype, Viber and YouTube even if they are blocked by the ISP or your network administrator. VPN Zoom provides access to its entire global network with all subscriptions. This means you can switch servers as many times as you wish without having to pay anything extra to the provider. VPN Speed & Bandwidth – VPN Zoom offers unlimited usage plans with no restrictions on speeds or bandwidth. Unlike other VPN companies, the company owns and manages its own infrastructure and network. This allows the company to deliver extremely high speeds that are suitable for activities like streaming music and videos, online gaming and downloading. The service is even P2P ready so you can download bittorrenting content without facing any penalties. Privacy Settings – VPN Zoom delivers very high level of security and privacy to its subscribers. The company offers PPTP (128 bit encryption), L2TP/IPSec and OpenVPN (256 bit) based connections so you are free to choose a level of privacy as per you needs. The service protects sensitive data (banking, social accounts, passwords) as well as different kinds of online activities (emails, messaging, browsing, FTP, downloading) from ISP surveillance, hackers that might be prowling on the networks as well as data snoopers and sniffing programs that pose a threat on public Wi-Fi networks. The service even secures you browsing sessions from deep packet inspection activities carried out by ISPs and governments. VPN Zoom has a strict no-logging policy so it does not keep a record of users’ browsing activities or connection details. However, since the company is based in United States, it would be forced to reveal subscriber data if ordered to do so by a court. Supported Operating Systems – VPN Zoom works in Windows (8, 7, XP, Vista), Mac OS X, Android and iOS (OS for iPads and iPhones). In addition, it is also possible to use the service on Smart TVs and gaming consoles since it is compatible with DD-WRT routers. 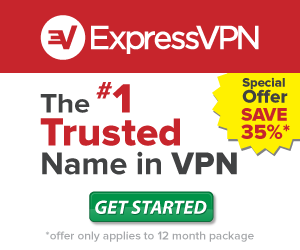 The provider offers its own VPN software (EZConnect) for Windows and Mac which is compatible with all protocols and makes it easy to install and use the service. For other systems, there are detailed guides available that can help you to set up the service. The service includes a NAT firewall with every subscription and permits two simultaneous connections for each account. In addition to the above features, the provider offers a Portable Connection Manager that can be loaded into a USB drive and can be used from any computer(no installation is necessary). The connection manager is even password protected which makes it quite secure and perfect for overseas tours and short trips. Customer Support – Unlike many Tier 1 service providers, VPN Zoom does not offer live chat support. However, the provider does offer a responsive ticket based support and even maintains an extensive FAQ and knowledgebase section on its site. Pricing Options – VPN Zoom offers all-inclusive VPN plans from $7.95 per month, $39.95 for 6 months (15% saving) and $59.95 for a year (35% saving). The company does not offer free trials but it does provide a no-questions asked 3 day money back guarantee. Final Verdict – All in all, we were very impressed with VPN Zoom’s features and pricing. While the service is quite new, the provider seems committed to delivering a robust and trustworthy privacy solution. We urge you to take advantage of the 3 day refund policy offered by the company and test the service for yourself. 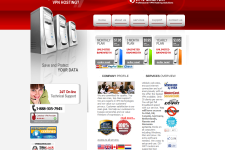 For more information, please visit: www.vpnzoom.com. 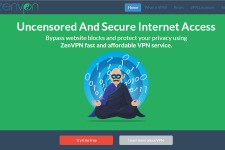 ZenVPN Review – Should You Subscribe To The Service?